During our travels this summer, we spent some time in The Netherlands; and one evening, we ate at a lovely restaurant in Lisse, near the beach. If you’ve ever eaten out in The Netherlands, you know that evening is prime time and usually quite expensive. On the up side, the food is generally fresh and delicious. The appetiser was an avocado stuffed with shrimp and other ingredients, which I cannot recall. What I do know is that it was rather creamy. In Spain, a halved avocado stuffed with shrimp and/or ensaladilla is tapa that is very typical in Granada, where bars give you a free tapa with a paid drink. I can’t recall the last time I had a stuffed avocado, so the appetiser in Lisse tasted sublimely divine! In recreating this, I thought I would first steam the shrimp and use mayonnaise, to achieve the creaminess…but after messing up a batch of mayonnaise*, I changed my mind. Back to the avocado: Sometimes it’s actually good that things don’t work out. If they had, I wouldn’t have enjoyed this delicious combination. How I came up with the idea? Simple. I love garlic shrimp, and that mixed with the natural creaminess of avocado is, for me, just a perfect match. Hahaha.. yes, I’ve had a lot of comments regarding the quail eggs! That’s what happens when you try to use up a leftover as a prop that doesn’t really have anything to do with the recipe. 😉 Although I must say, I did eat it and enjoyed it. By the way, my friend from Cuba tells me that the avocados there are humongous, nothing like the little things we get elsewhere. So, maybe you weren’t that far off with your first reaction! If you have a “The Fresh Market” store near you they only sell those giant avocados and I promise you they are amazing. I usually buy 6 to 10 at a time and keep them refrigerated until ready to use then I pull out 2 & put them in the window to ripen! Have a wonderful day. You too, have a wonderful day and thank you for stopping by! That was delicious! I used bacon grease instead of olive oil and omitted the salt. May have over done the garlic (I used 4 cloves of Giant garlic), but fortunately I LOVE garlic. Unless you like Garlic kisses, this is NOT a date night meal! OK – being new to cooking especially avocado (don’t think I am dumb! )….are you supposed to eat the shells or just the stuffing parts? So glad I found this site! This recipe is missing a lemon, otherwise avocado will turn dark. Making this tonight as a side to my baked tilapia! I think I have died and gone to heaven!!! This is soooo good!!! OK! So I made this last night for a dinner partyand it was a HIT! Everyone loved it, (except of course the person who was allergic to shellfish…my bad)…nevertheless it was awesome. Thanks for such an appetizing, healthy and attractive dish. First, it’s a pinch of dry ingredients and a dash of liquids. Two cups of shrimp, and 6-7 garlic cloves, for one avocado seem like an enormous amount, even tho I do love shrimp and garlic; think I might try it with two avocados. Mmmm. Hmm, I’m sure it would be good either way but did you serve it with the hrimp warm or the whole dish slightly chilled? For a variation on this, I didn’t use the avo skins. Instead I boiled a free-range hen egg lightly chopped it and mixed through the avo/shrimp mix. It finished it all off with a generous squeeze of lemon juice then served it in crisp iceberg lettuce shells. lol. this meal is over 1800 calories. if it’s an appetizer, i wouldn’t want to eat anything else for the entire meal! I want to add tomatoes…. Sadi, where in the world are you coming up with 1800 calories?? I come up with 350 max. Curious do I have to bake it ? How do U cook? In fry pan? Just follow the recipe: in a pan with olive oil for the shrimp; the avocado is raw. Enjoy! My husband loved it! Just made a minor change by adding some lime juice to the finished product. I will definitely be using this recipe as part of our weekly dinner routine. Thank you for the recipe! Hi, this looks fantastic! How do I eat it? With a fork? Pick it up and bite it? I’m sorry if this is obvious but can anyone answer if the original poster doesn’t reply? Thank you! I was so excited when I saw this. I just tried it out with a couple minor variations (margarine instead of olive oil, a bit of lemon juice in with the shrimp, and about twice the amount of garlic). It was FANTASTIC. My husband about died of joy. Thank you so much for this recipe! This was quick, easy and delicious. Could you tell me protein and calories please? Great looking recipe! However, when I clicked on the print button, 10 pages printed with nary a recipe to be found, a real waste of paper. I hope you will consider a different print plug-in, this one is worthless and aggravating. But, again, the recipe is a keeper! Thank you Vicki. I’ll look into it. But I believe there’s an option to print the PDF only and select the pages?? Very yummy. Husband said he’d like to put it in a wrap. I was lazy and used the minced garlic from a jar. I am unable to print the recipe. It just shows blank pages. We make a guacamole from the avocado, using a small amount lime juice,a dash of cayenne pepper,cilantro and salt…then mix the shrimp in. Spoon it all back into the shell and serve it on a bed of lettuce. We LOVED this!!! I used lobster meat in place of the shrimp but otherwise stuck to the original recipe. My husband is VERY difficult to please at the table but this recipe made the grade. Saw this recipe from a friend on Facebook. With how my wife and I love shrimp and avocados we decided to try it. Had to wait a few days for the avocados to ripen, but it was so worth it. So delicious. I want to make this as an app so what did you have as your main course or any suggestions? It’s hard to know what to suggest without knowing what you like and how involved you want your main to be. I have recipes for all sorts of dishes, from lamb, to pork, to chicken, to seafood… stews… This is a rich dish though, so maybe something light afterwards, like my “not quite Icelandic fish soup”? I’d love to hear what you decide upon. Can I please have the calorie count and nutrition facts for this recipe? I don’t count calories; and unfortunately I don’t have the nutritional facts for any of my recipes calculated. I do know there are websites that offer this service (for free I mean) and are easily available with a google search. I hope that helps! will be making this again tonight…love it! How in the direction of shed my Belly Bodyweight? This looks really good. Did you use a Haas avocado? They do have more flavor than the other ones. 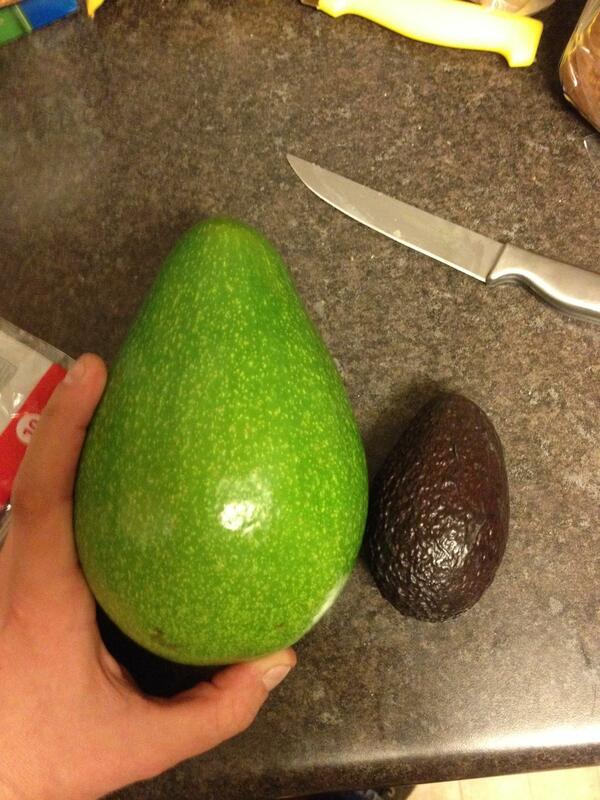 I will be making it with a Haas avocado. They are usually smaller, but they are usually the only ones available here. I can’t wait until tomorrow night, to make this delicious sounding recipe. I think I will use fresh dill, in place of cilantro or parsley. Then, the next time, l will try it with the cilantro (I’m not a big fan). p.s. – what was the point of squishing some of the meat from the avocado? I just couldn’t figure that one out! p.s. Thank you very much for tomorrow night’s yummy sounding (and looking) dinner. Thank you for your comment. I hope you enjoy the dish when you make it! The point of squishing the meat of the avocado is to make it creamier, coat the shrimp better, and have the flavours all meshed together. I don’t count calories, so unfortunately I don’t have the information for you. I know there are online apps that can do it though; I just don’t know which ones. This dish is high in healthy fats (the avocado and EVOO), which also makes it ideal for Ketogenic diets, which help you lose body fat. This was so quick – much quicker than the salad that I made to go with it – and so good. The presentation tickled my husband. Keeper. I am interested in making the avocado stuffed with garlic and shrimp. Been making this for a couple of years now and it’s a summer favorite of mine. I mince a bit of fresh jalapeno into mine. Gives it that tiny bit of crunch and fresh flavor! !